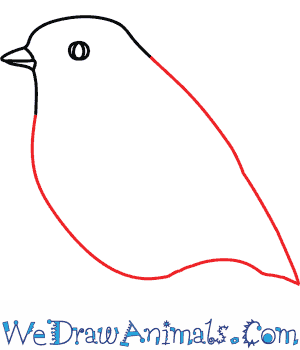 In this quick tutorial you'll learn how to draw a Robin in 8 easy steps - great for kids and novice artists. At the bottom you can read some interesting facts about the Robin. 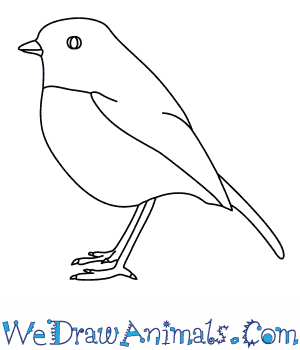 Step 1: Let's draw a Robin. A very small bird you may have seen before. 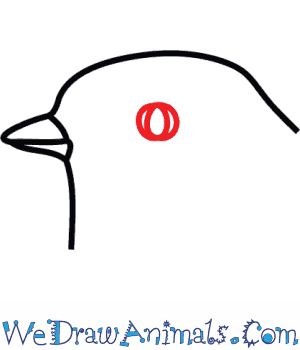 Start with the beak by drawing two small triangles. 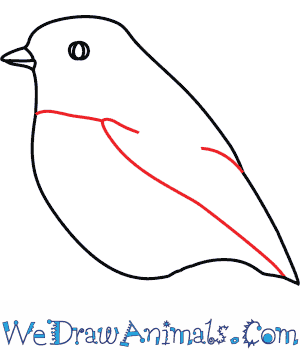 Step 2: Draw the head of the Robin by bringing one straight line down from the bottom of the beak. Then, add a curved line around the top of the head for the top of the head. Step 3: Now draw the eyes. First, make a circle and then draw an almond shape inside the circle. Step 4: For the body, bring a long, rounded line down from the neck to make the chest and tummy. Now, draw another line down the backside of the Robin so that it meets at the bottom in a point. This bird is so small, it only reaches about 14 cm in length! 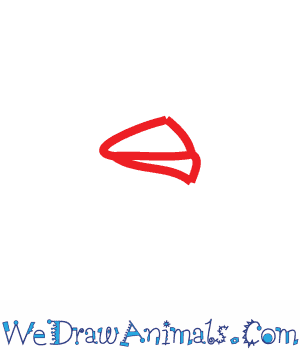 Step 5: Now let's draw the wing. To start, draw an arced line coming in from the neck. Then a small loop and a long curved line that meets down at the tail. The Robin's wingspan up to 22cm and can fly up to 29km per hour. 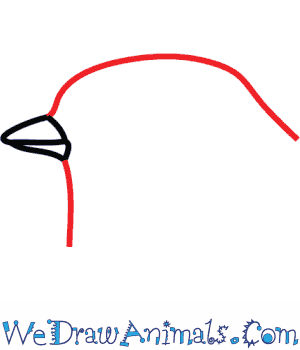 Step 6: To add the tail feathers, draw two curved lines down that end in a round tip. Step 7: Now for the first leg, draw two parallel lines straight down. Them add the toes by making small tube shapes. Add the sharp little claws at the ends of the toes by making small triangles. Step 8: Add the second leg using the same technique you did for the first leg. Your Robin is done! Robins come in many colors like orange and red. 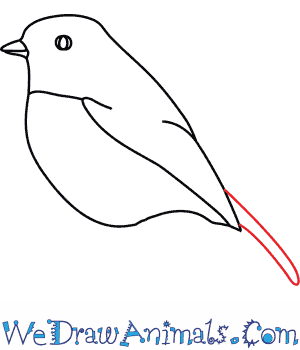 The Robin is a small passerine bird. It only gets to be around 12.5 to 14 cm in length. Robins, both male and female, have a gray line face, an off-white belly, and an orange breast. Robins can be found all across Europe as well as other countries such as Siberia and Northern parts of Africa! There are also American and Australian Robins that commonly have a red chest rather than orange. Robins have a wingspan of 20 to 22cm. How long can you stretch out you arms? The top speed that Robins ran reach is 29 km per hour! How fast can you run? 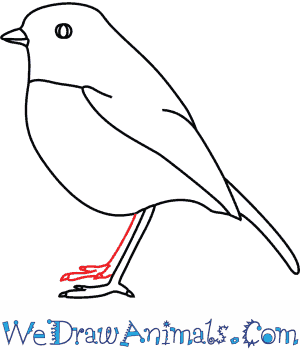 Scientists that study these birds believe that worms are the favorite food of Robins. What’s your favorite food?